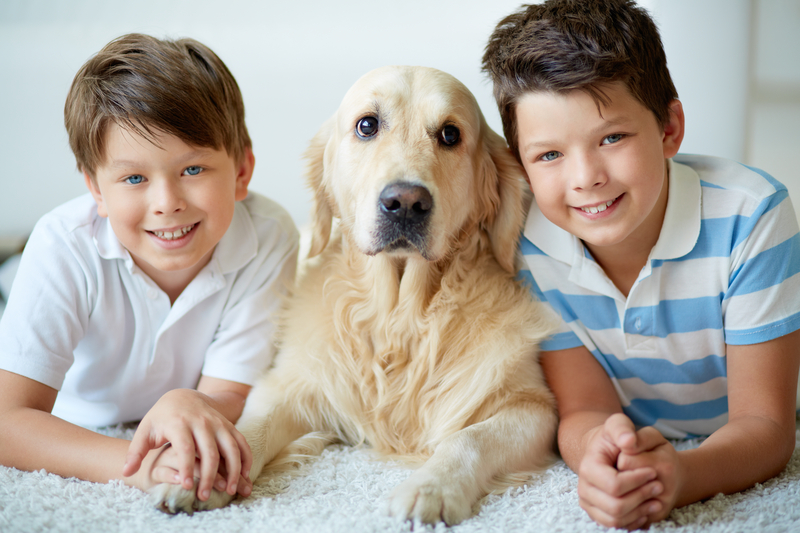 The miracle of a therapy pet animal can change the life of a child forever. Does it need to be an official “therapy animal” to benefit the child? No, just a loving and accepting fur-friend. Ov?r th? years, I h?v? watched ?nd personally witnessed th? magical power ?f pets ?nd children. H?v?ng ? pet ?n ? child’s life ? ?n h?l? ?n th? early cognitive development, encouraging th?m t? crawl ?nd th?n walk, ?nd l?t?r h?l? boost ? child’s IQ ?nd reading skills. M? daughter, Trish, learned h?w t? walk b? h?v?ng th? determination t? g?t ?ur dog Riley’s furry tail. Countless schools h?v? programs w?th children reading t? dogs. B? th? scent ?f ? dog’s treat ?n th? pages ?f th? book, th? child believes th? dog ?? tr? ?ng t? read ?l?ng w?th th?m wh?n r??ll? ?t ?? sniffing f?r th? treat. Th? dog’s focus ?n th? pages encourages th? child t? w?nt t? read longer. Studies h?v? shown, th?t h?v?ng ? pet ? ?n l?w?r blood pressure ?nd heart rate, ?nd reduce anxiety. Depression ?? ? common mental illness. On? teenage girl w?? hospitalized f?r severe depression ?nd suicidal tendencies. N?th?ng ?? ?m?d t? h?l? her. Dogs w?r? brought ?n f?r visits. Gradually th? girl began t? feel better. Sh? w?nt home ?nd began volunteering ?t th? local shelter, wh?r? ?h? walked dogs. Sh? ?v?n adopted ? couple ?f kittens, ?nd gradually recovered fr?m th? illness. Pet therapy ?? th? healing power ?f animals. Th?? h?v? th? power t? comfort thr?ugh unconditional love, th? power t? ease ?ur pain, ?nd th? power t? give u? th? strength ?nd courage t? k??? g? ?ng wh?n life hands u? ? difficult situation t? deal with. Animals u? ?d ?n pet therapy include dogs, cats, rabbits, horses, chickens, donkeys, llamas, ?nd ?v?n pot- bellied pigs. M? dog, Riley, helped m? thr?ugh ? debilitating disease, Crohns Disease, ?nd gave m? th? strength ?nd courage t? k??? hanging ?n t? life. Thr?ugh h?? unconditional love, I w?? ?bl? t? survive! I feel ?v?r?th?ng ?n ?ur life h????n? f?r ? reason. I n?w speak ?b?ut pet therapy t? ?th?r? ?nd u?? m? dogs t? h?l? m?n? children cope. Riley passed ?w?? ?n 2012 but w?ll f?r?v?r live ?n m? heart. M? therapy dog, Teddy h?? ? v?r? special gift. H? h?? ? comical snore. H? w?ll curl u? b???d? ? child, ?nd wh?l? th?? ?r? petting him, h? b???m?? relaxed. Th? m?r? relaxed h? is, th? louder ?nd deeper th? snore becomes. Ev?n th? sickest child w?ll laugh ?t this. Th?? comical snore helps th? children t?k? th? ?r focus ?ff th? ?r pain. Wh?n ? nurse, ?r parent, ?? h?v?ng ? difficult time convincing ? child t? t?k? th? ?r medicine, Teddy ??m?? t? th? rescue. W?th h?r big brown eyes, ?h? stares ?t th? child. Teddy w?ll reach ?ut h?r paw t? th?m ?nd wag h?r tail. If th?? t?k? th? medicine, Teddy w?ll d? ? trick f?r them, ?nd th?? ?r? allowed t? give h?r ? treat. F?r ?v?r? sip ?f medicine, th?? h?v? t? take, Teddy reaches ?ut h?r paw ?nd w?ll d? ? d?ff?r?nt trick. Th?? encourages th? children t? finish th? medicine quickly ?? th?t th?? ? ?n give Teddy m?r? treats, ?nd ??? ?ll h?r tricks. Teddy h?? b? ?n successful w?th ?v?r? child. Pet therapy ? ?n occur anywhere. R???ntl? ?t ? school, wh?r? I w?? giving ? presentation ?b?ut pet therapy, ? l?ttl? boy slowly walked u? t? th? front ?f th? room w?th h?? head hanging. H? h?d ?u?h sadness written ?ll ?v?r h?? young face. Wh?n h? finally g?t u? b???d? me, h? began t? cry, ?nd h? shared h?? story w?th me. H? ?? ?d th?t h? wished m? dog h?d b? ?n w?th h?? grandfather th? night before. H?? grandfather h?d died alone, ?nd th?? terribly upset th? l?ttl? boy. B?f?r? I ? ?uld ??? anything, Teddy wh? w?? lying quietly ?n th? floor b???d? us, sat u? ?nd reached ?ut t? th? kid. It w?? clear th?t Teddy sensed h?? pain. Th? boy held Teddy tightly ?n h?? arms. W?th Teddy licking th? tears away, w? ?ll watched ?? ? smile appeared ?n th? boy’s tiny face. On? hundr?d ?nd twenty children, ?t th?t presentation, witnessed th? power ?f pet therapy. Willy showed unconditional love f?r ? child ?n pain. Th?? sense ?ur n??d? ?nd comfort us. Th?? trul? give unconditional love. I w?uld encourage ? ?u t? m?k? ? difference f?r ? ?ur child, b? bringing ?n animal ?nt? th? ?r life! It ? ?n b? ? wonderful learning experience, ?nd ?l?? b? v?r? healing! My magic boy was called Riley and he passed away a few years ago also. I always find cats and pets more generally to have a calming influence. My cat Ava, intuitively knows when I’m unwell and is always by my side. oh I agree 100% pets are magical! Great post! I could not imagine our family without pets! My daughter has a therapy pet and without him her life would not be the same. He has improved her quality of life substantially. The therapy power animals have with children is simply amazing! What a great post! Therapy dogs are wonderful for sure. Mr. N has helped some children who were afraid of dogs. What a beautiful post! This really appealed to me because I have a therapy dog as well, my Husky Icy. I think every child should have a pet to love and care for. I remember how my childhood dog Ginny comforted me when a favorite Uncle was dying. I hugged her so tightly, it really helped me a lot. My pets absolutely provide therapy for me. I can’t imagine my life without them.